Allegations of stalking in the Dallas-Fort Worth metroplex can arise in a number of situations. A common situation occurs when a relationship ends and one party still wants to maintain contact with the other. In other case, accusations of stalking are levied with no evidence other than the word of the alleged victim. Law enforcement officers in Texas have the authority to immediately arrest anyone without a warrant. To do so, the officer must have probable cause that an offense occurred. This means any accusations of stalking could immediately result in an arrest, regardless if a proper investigation took place. Stalking or aggravated stalking charges can result in serious penalties and repercussions. However, it is important to know that if you have been charged with a stalking offense, you do not necessarily have to face a conviction. The state prosecutor must first prove you committed every element of the offense beyond a reasonable doubt. It is often difficult to meet this burden of proof. If the judge or jury have any doubt you committed any element to your alleged stalking offense, the charges against you may be reduced or even dismissed. Therefore, it is essential to contact an experienced criminal defense lawyer in Dallas to help you create the best legal strategy for your particular situation. Contact the Law Offices of Richard C. McConathy if you’ve been charged with stalking in Dallas or any of the surrounding areas in Texas. Our attorneys represent clients from all across North Texas, including Dallas, Garland, Irving, Grand Prairie, Mesquite, Carrolton, Richardson, and many other surrounding communities. Richard McConathy is a Dallas criminal defense attorney experienced in defending stalking allegations. He has defended thousands of clients since opening the firm in 2002. Richard will fight on your behalf and, when possible, move to reduce or dismiss your charges. Contact the Law Offices of Richard C. McConathy today for a free consultation to discuss your alleged stalking offense. knows would cause a reasonable person to fear that damage to their property will occur. Social media networks such as Twitter, Instagram, Facebook, and Snapchat allow people to connect and communicate more easily than ever. But they also provide another opportunity for you to be target with stalking charges. Cyberstalking is an offense that’s closely related to stalking. Though it’s charged as harassment under Texas Penal Code Section 42.07, it directly precedes the statute governing stalking in the same chapter. Simply visiting someone’s social media profile and viewing their photos does not satisfy the elements of a harassment or cyberstalking charge. The accused encouraged a child to cause themselves serious bodily injury. The maximum penalties for a Class A misdemeanor include a year in prison and a $4,000 fine. An individual charged with a first stalking offense can face a conviction for a felony of the third degree, which is generally punishable by two to ten years in prison and/or a fine up to $10,000. An individual charged with a second or subsequent stalking offense can face a conviction for a felony of the second degree, which is generally punishable by two to 20 years in prison and/or a fine up to $10,000. Contact Law Offices of Richard C. McConathy today for a consultation about your stalking allegations throughout Dallas County in Texas. 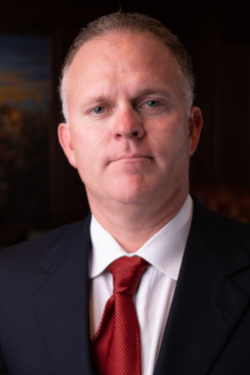 Richard McConathy is an aggressive Dallas family violence attorney who will make every effort to fight the allegations against you. Call (972) 233-5700 or complete an online form for a free consultation about your alleged stalking offense throughout Dallas County in Texas and the surrounding counties of Denton County, Collin County and Tarrant County. This article was last updated on Wednesday, January 30, 2019.